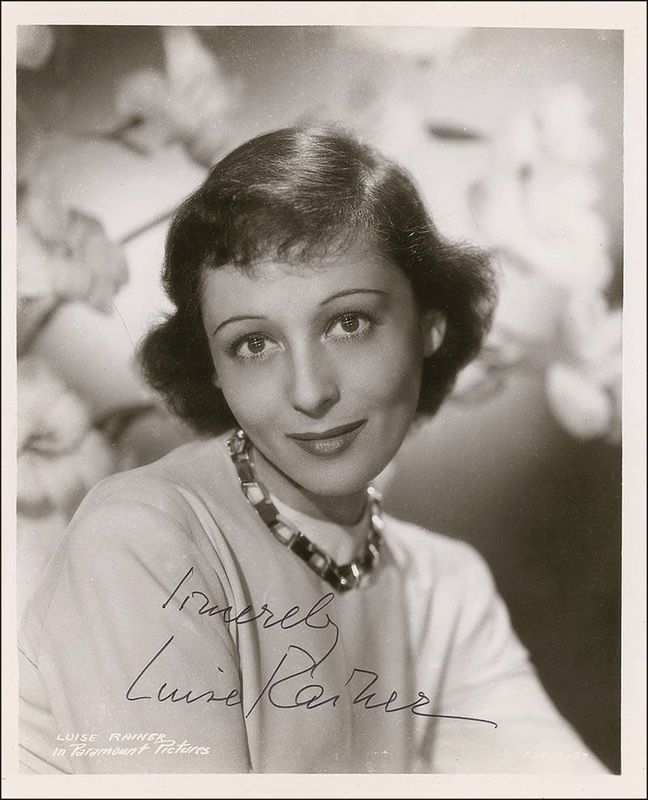 On reading of the death on December 30th of actress Luise Rainer (1910-2014), I recalled her connections in the early 1930s to two reporters who were part of the Anglo-American Press Association (A-APA) and the Café Louvre Circle, both made up of reporters in Vienna who covered Central Europe and the Balkans for newspapers in the United States and England. In fact, one reporter, Friedrich Scheu, who was part of both groups, attended her debut stage performance in Vienna on September 12, 1931 and afterwards co-hosted a party for her and others who staged the theater production. Scheu (1905-1985) was a Vienna native, the son of a well-known lawyer, Dr. Gustav Scheu (1875-1935), who served on the Vienna city council as a Social Democrat during the First Republic. His mother, Helene Scheu-Riesz (1880-1970), was a writer who had considerable success with her books for children and as a publisher. 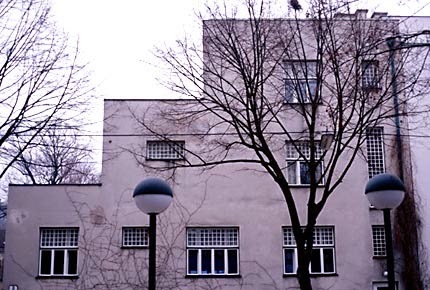 This liberal Jewish family lived in the Hietzing district (13th) of Vienna where they had a house designed for them by Alfred Loos in 1912. It was called Haus Scheu  At this house, Frau Scheu-Riesz hosted a salon that was visited by many famous Viennese such as Loos, Oskar Kokoschka and Alban Berg. The house at Larochegasse 3, which still stands, was known as the “Haus der Begegnung” (house of encounters). "On the evening of September 12, 1931, there occurred an event of interest to Vienna: the first night of a play by the German playwright Fritz von Unruh at the Volkstheater. The piece was named “Phäa” and it addressed in an ironic form the fate of a bit movie actress who wanted to become a star. The actress in the main role has to climb into a lion’s cage, and a key moment in the piece lies in the instructions that the film director gives to the camera crew: “If the lion, God forbid, should eat the young lady, don’t stop filming!” The play was a satire on the inhumanity of the film industry. Coincidentally the play brought a small, unknown actress from Düsseldorf to Vienna soil for the first time. Her name was Louise [sic] Rainer and the premiere in Vienna was for her the opening of a fairy tale film career in Hollywood. The role that she played in Unruh’s piece had many parallels to her own fate. The director of the play, Fritz Peter Buch was acquainted with my parents and after the premiere we had a small celebration at the home of my parents on Laroche Gasse – Fritz von Unruh, Fritz Peter Buch, Louise Rainer, and Hans Schweikart, who played the lead male role. The celebration of the success of the premiere lasted into the early morning hours." In 1931, at the time of this party for Rainer and her colleagues, Scheu was not only a lawyer working in his father’s firm, but also was the Vienna correspondent for the British Labor Party’s newspaper, the London Daily Herald. As a member of a prosperous and prominent family, he had been able to travel with his parents to the U.S. (1926) and England, where his mother had lived for a while. Also, he perfected his English when he spent 18 months in England on an exchange program. He had taken on the journalist position in 1929 and was one of the first members of the Anglo-American Press Association when it formed in 1930. Apparently Scheu was a well-liked member of the A-APA (he was elected its secretary in 1931), and he also spent time at the Café Louvre with the journalists who hung out there. Among his colleagues was Robert Best (1896-1952), the heart and soul of the Café Louvre Circle. Scheu described him as “one of my best friends." There is some irony in that description because Best, a South Carolina native who wrote for the United Press news agency, stayed in Austria after the Anschluss and was in Germany during the war, from which he made propaganda broadcasts. His broadcasts were filled with anti-Semitic remarks; as mentioned earlier, Scheu was a Jew. 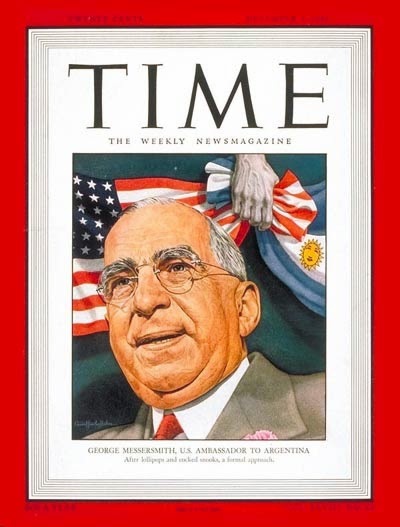 Best was convicted in 1948 by a U.S. court of treason. 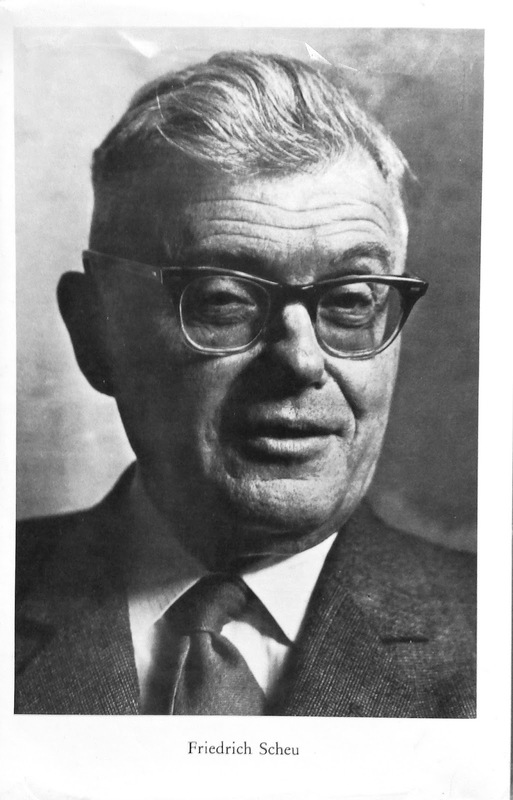 Another of Scheu’s colleagues was John Gunther (1901-1970), who had arrived in Vienna in 1930 to write for the Chicago Daily News. Gunther was another acquaintance of Luise Rainer; in fact according to William Shirer, one of Gunther’s friends, his infatuation with her was a major source of tension in his marriage. 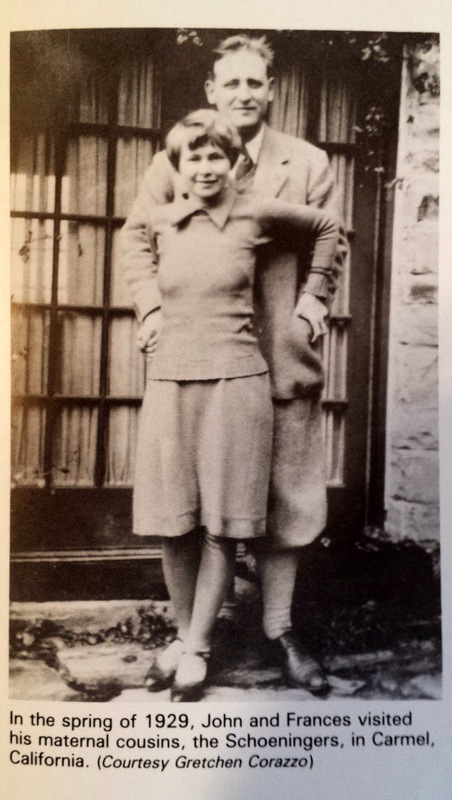 Apparently in the 1930s, Rainer had many men in love with her and she paid no special attention to Gunther. After Gunther left Vienna in 1935, he wrote a novel, a roman-à-clef, about his Vienna years in which he and his wife are the two main characters. It was scheduled to be published as Ring Around Vienna in Spring, 1938, but the publication was halted because of fear that a libel suit might be brought against the publisher: the book contained an unflattering portrayal of a character named James Drew who could clearly be identified as Robert Best. The book was finally published in 1964 as The Lost City. One of the major characters in the novel – Richardo Stein, a lawyer-journalist and zealous social democrat -- was clearly based on Friedrich Scheu. From Scheu’s depiction in the novel, it is clear that Gunther thought highly of him. Though the book’s lead character, Mason Jarrett (the ersatz Gunther), is good friends with a nightclub singer, the daughter of his landlord, and a young artist, he does not link up with beautiful young woman who becomes a Hollywood movie star. As described in Gunther’s novel, Scheu was not only a lawyer and journalist, but also an ardent socialist.. He had been active as a youngster in the Socialist youth movement. After the 1934 civil war, the Social Democratic party, outlawed by the Austro-fascist government, went underground, but covertly Scheu remained an active member of the party. When someone tipped off the police that Scheu was reading outlawed newspapers and journals, he was arrested in January 1935, but he was released without imprisonment. The A-APA was active in efforts to get his release. "A few days ago a young Austrian lawyer here, Dr. Scheu, who on the side also reports for the Daily Herald in London and for the Federated Press at home, was detained by the police and his house searched. He is a young fellow about thirty, whose father is a prominent lawyer here with close connections with the United State. The young man is quite a Socialist, as is he family. As soon as he was arrested the Vice President of the Anglo-American Press Association here called me up and wanted me to do something. I told him that I could not until we knew what he was detained for, and then it was much a question whether I could even make the most informal enquiry, as he was an Austrian and his newspaper connection was principally with the Daily Herald, and that his American connection with the Federated Press was attenuated that I felt there was really nothing we could do…. He was in fact released on the afternoon of the same day. "I took the opportunity of Scheu's call on me to talk to him, and I find that he is a Socialist of such an exaggerated type that he is more interested in there being a socialist government in Austria than in the maintenance of Austria….I found the young man one of these liberals who are so prejudiced they cannot even consider anyone else's point of view. I pointed out to him that anyone who held such strong view as he did had to consider very seriously as to whether he was not coloring his news with his prejudices, even when he was serving socialist papers. I gathered the impression that he considered himself more of an advocate than a reporter." When Germany invaded Austria in 1938, Scheu had to quickly escape the city and find a clever way to do so. He went to Prague, where his wife joined him; then to England. After some years, the parents were reunited with the child they had to leave behind in Vienna with this wife’s mother. Scheu spent the war years in England. After the war, he worked as a reporter for the Daily Herald. In 1954, he returned to Vienna to report on international affairs for the Arbeiterzeitung, the newspaper of the Social Democrats. He remained in that position until 1972. 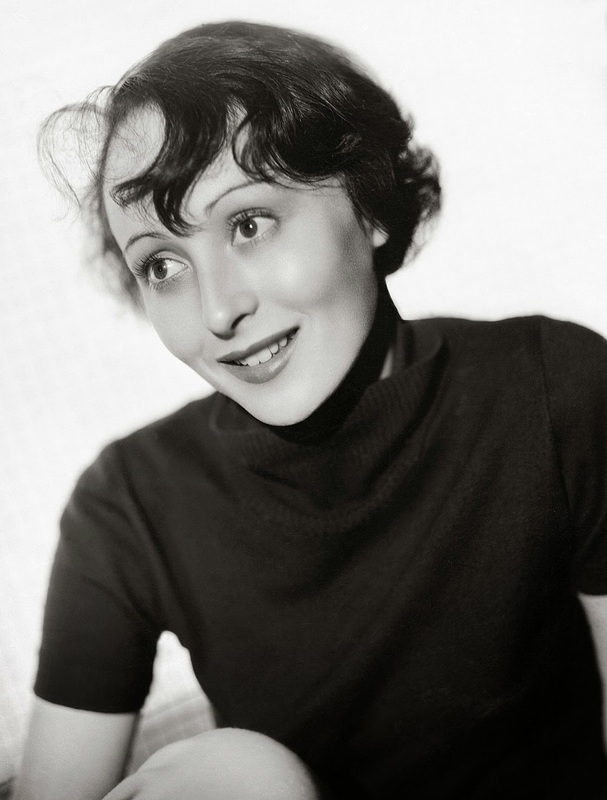 Likely, Scheu included the information about the night of September 12, 1931 and his meeting with Luise Rainer in his memoir because who can forget their encounters with famous movie stars, especially one as attractive and talented as Luise Rainer. I have a research interest in foreign correspondents in Vienna during the inter-war period. Here are some links to other things I have written on the topic. Gustav, Helene, Friedrich and his wife Herta are all buried in a family plot at Feuerhalle Simmering, a cemetery located beside Vienna’s first crematorium. (Although the name “Louise” is used in the text, the correct first name Luise is in the index. Fritz von Unruh (1885-1970] was the son of a German army general and also served as an army officer until 1912. He left the military to pursue a writing career. Much of his writings were anti-war and could be calledexpressionist. He was a staunch opponent of the Nazis, and left Germany in 1932 after Hitler seized power. He was for many years a refugee in the United States. He returned to Germany in 1962. Fritz Peter Buch (1894-1964) was a director for Max Reinhardt’s Deutsche Theater in Berlin. Buch later directed propaganda files for the Nazis after they gained power in Germany. The Austrian Anglo-American Press Association was created in 1930, soon after the arrival of John Gunther and Whit Burnett from their posts in Paris. It was modeled on the Anglo-American press association in Paris. John Carver Edwards. 1982. Bob Best Considered: An Expatriate's Long Road to Treason. John Cuthbertson. 1992. Inside: The Biography of John Gunther. Bonus Books. "He fell for her to an extent that I don't think Frances [Gunther's wife] was pleased. John had a roving eye and liked to flirt." Rainer later recalled: "He was tall, husky, and blond. He was, of course, very bright and had a great sense of humor. I thought he was a terribly nice fellow... However, I must say something simply and brusquely: I was never in love with him, or anything of that kind." John Gunther. 1964. The Lost City. Harper & Row. In his novel, Gunther built much of the plot around important events in Austria from 1930 to 1934. His characters, based on his journalist colleagues in Vienna, kept the personality and some background of each person, but changed many of the details and fictionalized many of their actions. For example, in the novel, Richardo Stein was a Viennese lawyer as well as a journalist and was a committed social democrat (both of which Scheu was). He also flew his own airplane (Scheu did not) and was killed during the 1934 civil war (Scheu was not). His books include: Ein Band der Freundschaft: Schwarzwald-Kreis und Entstehung der Vereinigung Sozialistischer Mittelschuler. 1985; “Humor als Waffe”: Politishen Kaberett in der Ersten Republic. 1977; Die Emigrationspresse der Sozialisten: 1938-1945. 1969; The Early Days of the Anglo-Austrian Society. 1969; and Die Englische Arbeiterregierung, 1949. One book is in English: English Labor and the Beveridge Plan, 1943. This book was published by the Island Press, which was an American publishing house owned by his mother.